The birth of our newest “BAK” series bogu was made possible by combining the highest craftsmanship with the newest kendo science! The mix between time-tested traditional techniques and modern science makes this bogu truely one of a kind. “BAK” bogu promises the best performance for any serious kendoka. 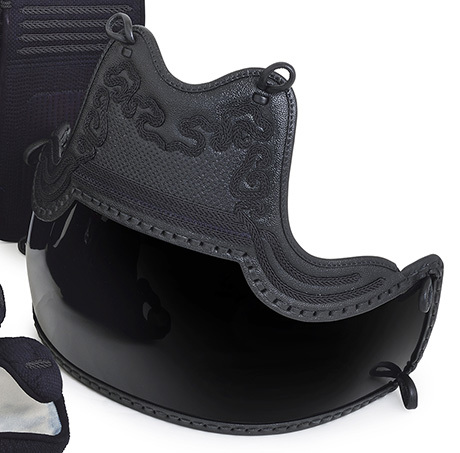 ◆The “BAK” line uses an exclusive felt material created specifically for the needs of kendo. The felt is produced domestically and boasts superior sweat and shock absorbing properties. ◆Highest quality suede material ordered directly from Torey Ltd. The secret to a high quality do can be seen by looking at it from the side. If the top of the mune and the bottom of the dodai is fitted properly to the user's body, the do will boast a better balance and feel lighter during use. This can only be achieved by a skilled craftsman during the process of attaching the dodai to the mune. ーWhat inspired the creation of the highly popular “BAK” line? Chief Director: “BAK” was actually inspired by underwears. ーHow long ago was that? 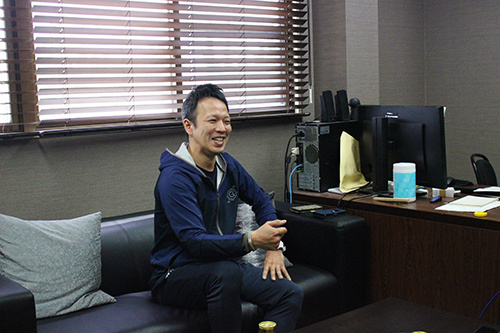 Chief Director: Around 6-7 years ago our chief executive had quite an interesting conversation with his senpai from high school, Mr. Hashi Kentaro, who also happens to be an instructor at Kanto Gakuin University as well as a team Japan coach. During their conversation, the subject of manufacturing underwears came up. While most people would never consider wearing anything under their gi or hakama, it might be best to develop something supportive to be worn underneath when the risks of kendo injury are being put into consideration. That was essentially how the conversation went. His senpai agreed with him, and production began soon afterwards. In order to prevent kendo-specific injuries, they had to consider major differences between kendo and other conventional sports. ーHow is the muscle structure of people who do kendo different from others? People who do kendo tend to have more developed left calf and right thigh muscles, this type of disproportionate muscle development is rather unheard of in other sports. Taking all of the above into consideration, we decided on an asymmetrical supporter when developing “BAK”. We’ve reinforced selected parts of the supporter with our “powernet” technology to give our customers maximum support while helping them maintain the mobility and speed need in kendo. For our tops, we’ve installed an “X” shaped powernet across the back. This both corrects a kenshi’s kamae by forcing them to stick their chest out, as well as decrease the strain put on the back. These are just some of the ways “BAK” supporters are made to prevent injury. Mr. Hashi once said himself, “An athlete who does not get injured or tired is a strong athlete”. ーCan you elaborate on what he means? What he means is that an athlete who performs more consistently will improve faster. For example, when two people are on the same level in terms of skill, the person who tries first will start lagging behind in terms of performance. Injuries also hurt one’s performance. The time it takes to heal from one’s injuries takes away precious training time. That is why we believe that it is important to avoid injuries at all cost. Mr. Hashi has also emphasized the importance of injury-free training to many kenshi. We have received many good reviews on our product so far, with many people saying that they can focus on their training without having to worry about the risks of overwork or injuries. BAK is a product created on the basis of biomechanism. Together with Hashi senpai, we were able to create a product that draws out the best of a kendoka. ーI guess it is perfectly safe to say that BAK is an invention based on scientific research!